An evolution in the species. 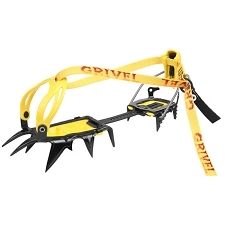 The G-14 crampons combine the technical performance of forged, vertical frontpoints with the low profile, collapsible frame of the G-12 to make an altogether fresh, modular, and customizable crampon suited to many climbing disciplines. 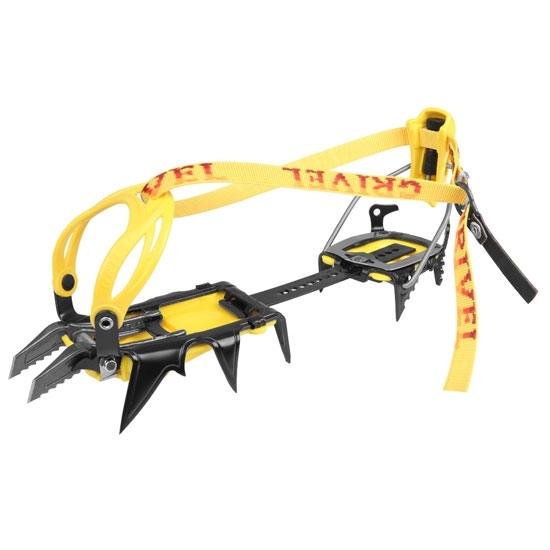 The success and experience with the Rambo crampons reinforces the validity of forged points: they penetrate hard ice better, with less vibration, and offer the opportunity to combine vertical and horizontal axis. Front points are simple to configure on the G14, allowing the user to build mono or dual point crampons and replace worn points easily. 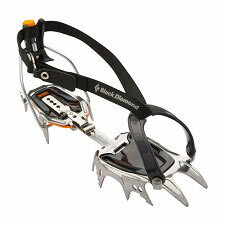 The low profile of the crampon frame places the climber´s foot closer to rock or ice, and is less prone to balling up. 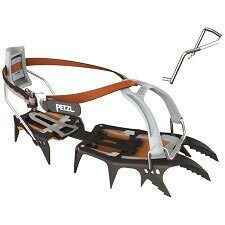 At last, alpine climbing crampons with the technical performance of their ice and modern mixed counterparts. Flexible and asymmetric structure to adapt better to the boot´s curve and and obtain a higher performance over high difficult terrain. Weight according to manufacturer: Peso según fabricante: 1065 gr. Customer Opinions "G14 New Matic + Antibott"